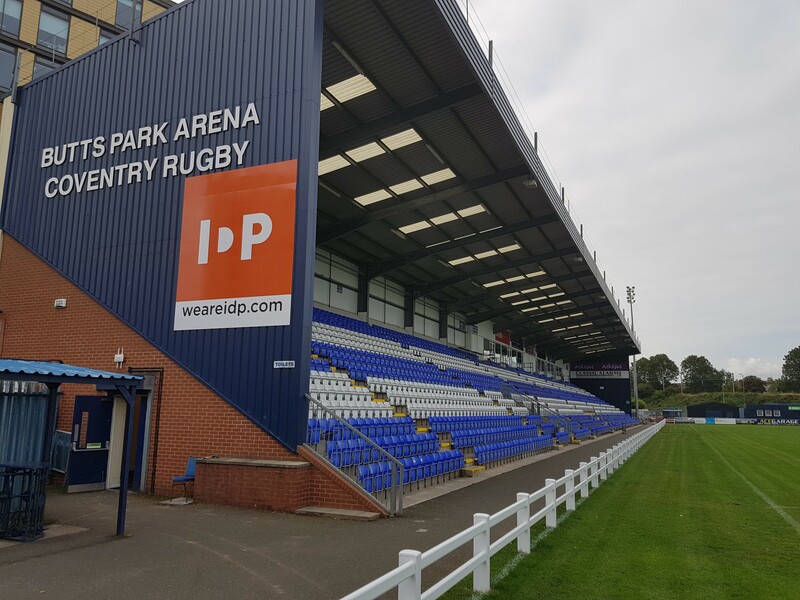 Coventry were unable to claim an eleventh Butts Park Arena win of the season as they slipped to a nine-try 20-61 defeat at the hands of promotion-chasing Ealing Trailfinders. The visitors built a 13-28 interval advantage while also banking a bonus point courtesy of tries from wingers Reon Joseph and Seb Stegmann, Jordan Burns and outstanding No.8 Kieran Murphy. Will Maisey scored all 13 of Cov’s first-half points through a try, conversion and two penalties. And there was no let-up after the break as Joseph completed a hat-trick while David Johnston, Lewis Jones and Craig Willis – who also kicked eight conversions – banked singles before Sam Tuitupou claimed Cov’s second touchdown. Cov started brightly only for a promising attack to peter out when the ball went to ground in the Ealing 22. This meant it was the visitors who took the lead through the pacy Joseph who emerged from a shuddering aerial collision with David Halaifonua to carry fly half Willis’s delicate kick pass over the whitewash. Ealing’s No.10 added the conversion and he soon split the uprights for a second time after the visitors took advantage of Johnston’s break to release left winger Stegmann to the line. Maisey put Cov on the board with a simple penalty late in the opening quarter and the home side then went very close to claiming a seven-pointer when Halaifonua released Max Trimble whose chip bounced into touch with the cover defence beaten. However, the hosts forced a scrum from the ensuing lineout, and when Ealing’s front row infringed Maisey slotted his second penalty of the afternoon. Ealing’s forwards then won a scrum penalty which they sent to the corner from where they shunted Murphy over for a try which Willis upgraded. And the Trailfinders registered their try bonus point just after the half-hour mark when scrum half Burns raced under the posts following Murphy’s powerful break and offload. After Willis retained his 100 per cent strike rate from the tee, the home side had the last word through a superb long-distance score created by Will Owen, George Oram and Tom Kessell and finished by Maisey who also added the conversion. This left Ealing with a 15-point interval advantage which they soon extended to 22 when Johnston timed his run perfectly to gather Willis’s chip ahead and cross for a touchdown which Willis upgraded. 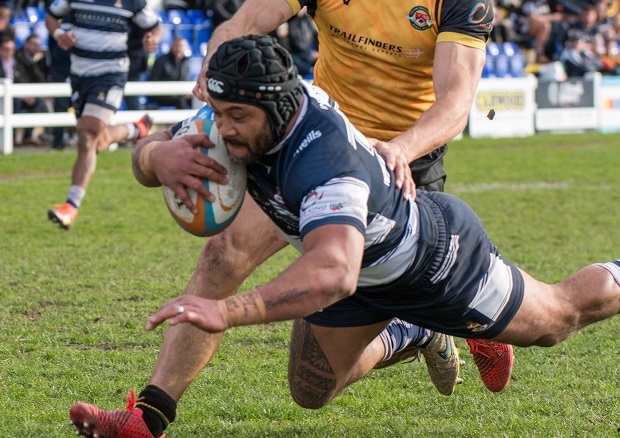 Joseph claimed his second and Ealing’s sixth try just before the hour mark after the visitors recovered a loose ball on halfway and released Burns who swapped passes with the scorer. The visitors then added three further tries in a ten-minute quickfire burst through Willis – in support of Stegmann’s break – centre Jones, who recovered a knock-on on halfway and outpaced the cover and Joseph’s third score of the afternoon. Three further conversions meant Willis finished with 21 points after which the biggest cheer of the afternoon greeted retirement-bound Tuitupou barging over for Cov’s second score which Maisey upgraded. Coventry Rugby: Halaifonua; A.Bulumakau, Knox, Owen (Tuitupou 55), Trimble; Maisey, Kessell (White 44); Ellis (Gibbons 59), Tolmie (Nilsen 59), Boulton (Brighouse 57); Voss, Oram (Russell 57); Peters, Nutley (Ram 50), Faleafa. Ealing Trailfinders: Johnston; Joseph, Jones (May 70), Sloan, Stegmann; Willis, Burns (Foley 65); Els (Beeley 65), Walker (Cornish 62), Millar-Mills (Tampin 55); Dickinson, Casson; Landry (O’Regan 55) (Durutalo 62), Smid, Murphy.